We understand, Ridley. It's such hard work being you. Oh what a rough life, huh? Darling boy. 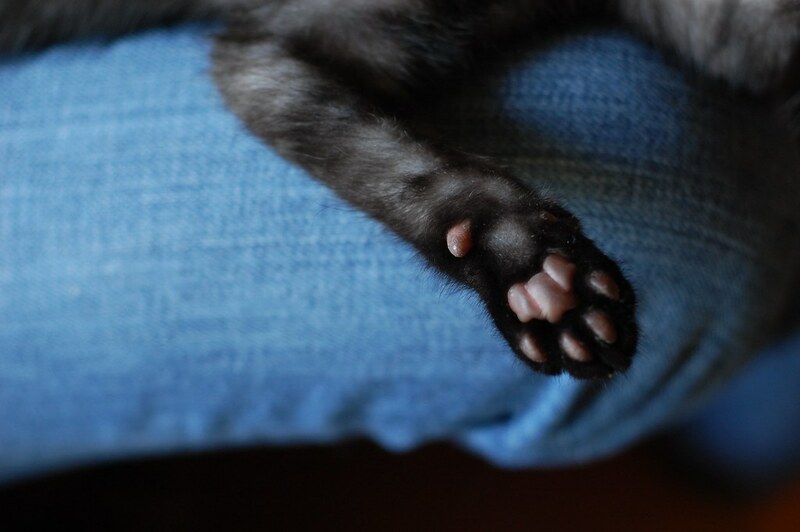 Love the kitten toe beans. There should be a warning! Billions of cuteness ahead! I want to rub the tummy!! How cute! I sometimes come close to thudding. This time: THUD! Awww... just hafta... can't resist! I can't help it. I *try* not to, but it's hard to resist. The feets!!! And the fuzzy little chin! And the tummy! 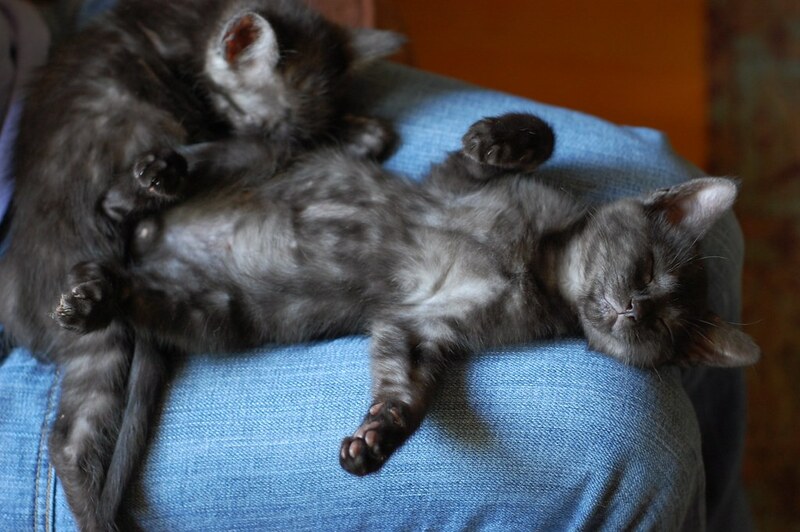 This bunch of kittens are such belly show-offs, they look like little velvet balloons! 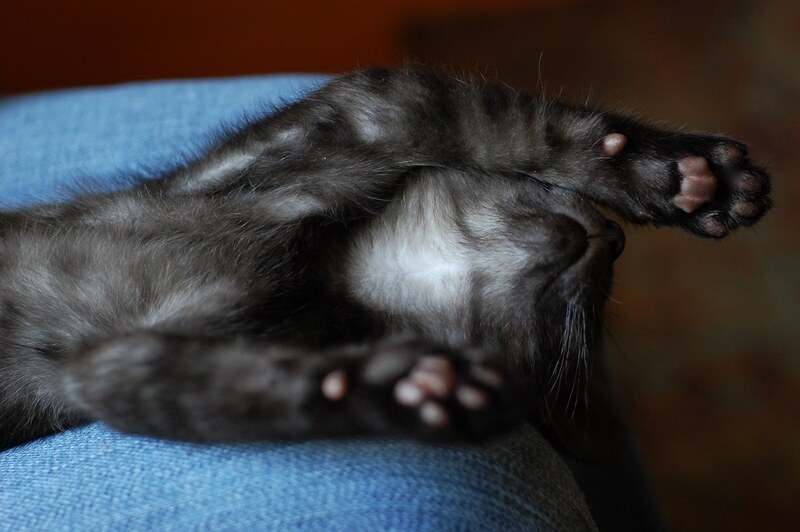 Oh and those widdle paws, they are making me dizzy. Out like a trout. And oh, those little swirly cowlicks under his arms. Too precious for words, our sweet Mr. Ridley. Floppy Mcfloppersons! Such sweeties. I had a cat with that same smoke coloring as a kitten but when he grew up he was all black. Eeee, I just want to rub my cheek against that soft, fluffiness. What a silly snoozer! Oh how gorjuss he is! We want to snorgle his tummy RIGHT NOW! I love his little chin strap. 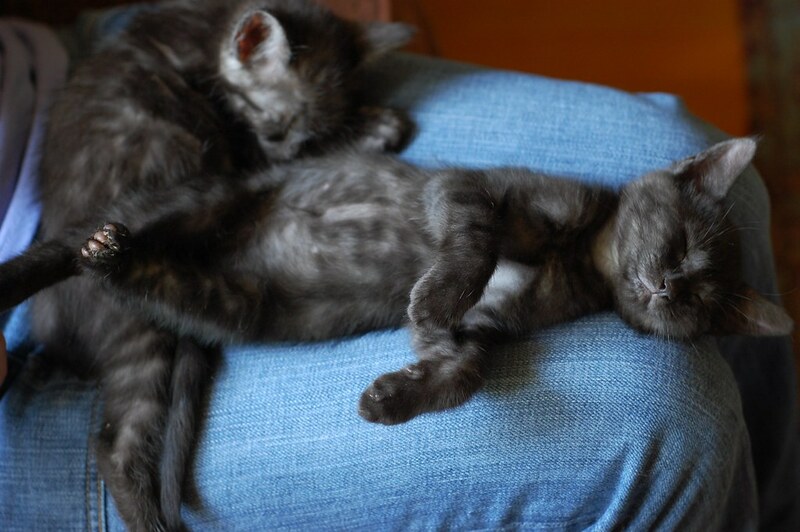 A pair of smoky kittens = a cloud of soft kitten belly fur to snorgle. A 60 # puppy's belly just isn't the same. Oh the toes and that belly! 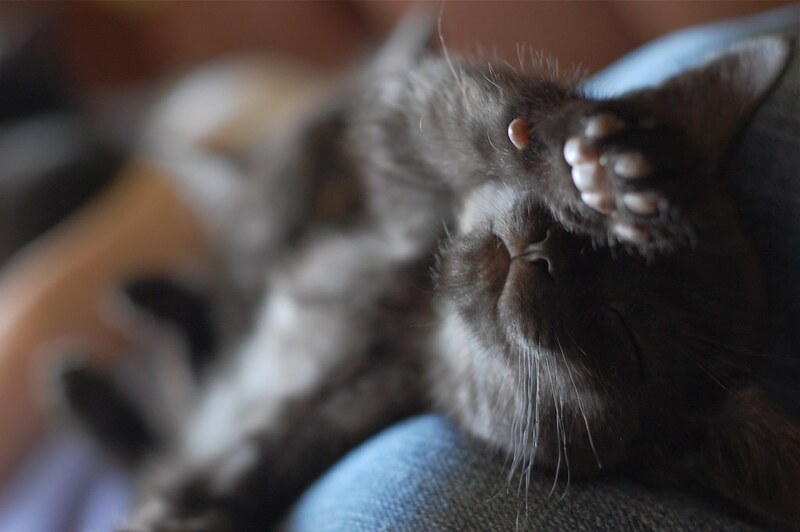 Must snorgle kitteh. Love the last picture. Hiding from the paparazzi, eh?